PSL gets its final update – even more free stuff! Roll up! Roll up! Get your Digital Audio Workstation Tutorials! PSL is almost upon us and for those of you who still don't have tickets for one of the most exciting events in the music-makers calendar, you only have one week left to buy them. Don't delay though, as some of our Producer Sessions including The Freemasons, Danny Byrd and Dave Spoon's Saturday session have already sold out, with others almost at capacity. It's shaping up to be a fantastic weekend, and if you're still not convinced, let's recap exactly what's going on. With 10 famous producers giving exclusive and intimate production tutorials live on stage over the course of the weekend, over 35 of the world's biggest studio gear and software companies dotted around the SAE facilities, including SSL, Akai, Digidesign, Roland, Numark and many more showing off their industry-standard kit, free DAW workshops from the likes of Propellerhead, Steinberg and Ableton, tutorials and hands-on support for all of the hardware and software on display and with Absolute Music on standby, the ability to buy any of the kit that takes your fancy on the day, at a discounted rate. Phew! If you haven't already raced to get your tickets, you can do so at www.producersessionslive.com. Over the weekend, we'll be offering specialist DAW tutorial sessions, featuring certified trainers in all the major DAWs including Logic Pro, Ableton Live, Cubase, Sonar, PreSonus Studio One, Propellerhead Reason and Pro Tools. 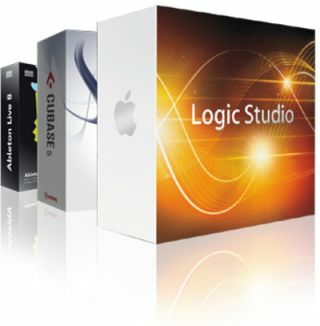 This is your chance to master your DAW and take the next step towards Power User status. Or, if you've had a question or a feature request running circles in your mind, now's the time to voice it, with the experts on hand to help you out. The best thing is -they're free with a standard Day Ticket. See below for the timetable. We're not the only ones who think watching artists who are currently at the top of their game do their thing is the best way to learn -our readers do too. That's why our sessions are selling out fast, with The Freemasons, Danny Byrd and Dave Spoon's Saturday Session already sold out, with his Sunday stint rapidly filling up. Our other sessions are catching up too, with very few spaces left across the board, so don't delay. Don't forget too, that you can get your grubby mits on any of the gear mentioned on the Producer Sessions Live website. Ever wanted to try a Minimoog Voyager or hear the UAD plug-ins in action? Maybe you've always thought about switching to Ableton Live but didn't know where to start. Now is the time, and we'll be offering you a special discount on all of the kit and software you love the look of, courtesy of Absolute Music.